On behalf of the Pacific Northwest Regional Economic Analysis Project (PNREAP), greetings and welcome to the Tennessee Regional Economic Analysis Project. 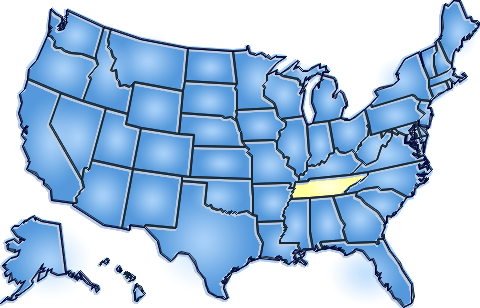 Using the interactive regional economic tools of analysis at your disposal on this website, we invite you to conduct your own research to examine and assess changing economic conditions and trends of counties or regions within Tennessee. Investigate a topic all too often overlooked relating to how the changing mix and role of property income, transfer payments, earned income, and their contributions to growth, have transformed the Tennessee regional economy against the backdrop of changes nationwide. The cornerstone of the Tennessee Regional Economic Analysis Project is the annual data compiled by the Regional Income Division and Regional Product Division of the Bureau of Economic Analysis (BEA), U.S. Department of Commerce encompassing nearly 5 decades--from 1969 to 2017. Regional analysis without paralysis.....With the click of a mouse! The Pacific Northwest Regional Economic Analysis Project (PNREAP) is a not-for-profit 501(c)(3) corporation organized to foster and further sound regional economic research, analysis, education, outreach and decision-making. By exploiting web-enabled technologies PNREAP endeavors to empower people to expedite the distillation, portrayal, analysis and interpretation of regional economic data. The regional economic research tools and analytical techniques created by PNREAP offer users a portal to more quickly and efficiently explore, discover and understand our fluctuating, dynamic and ever-changing regional economies. PNREAP supports and collaborates with local and regional economic development, research, and educational institutions nationwide.